Uploaded by https://actu-cci.com on 2018-01-20. 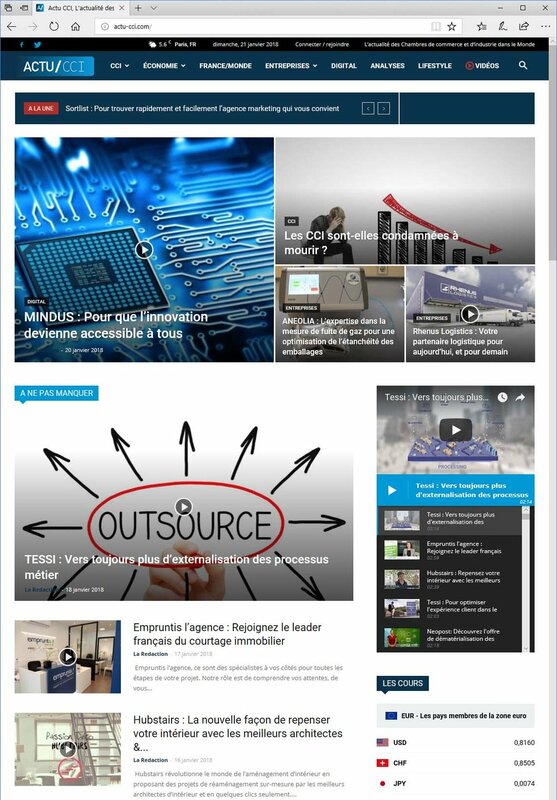 Proud to share our first 2018 coverage: a Mindus video on the front page of the French Chamber of Commerce and Industry in Paris, stating that innovation is open to anyone with iizi platform. We added the same video on our Youtube channel https://youtu.be/w95KgYEgz2g.